The homestead museum of Kollsberg can be booked for festivities almost year-round. In addition, there is a cosy cabin near the lake where you can stay during the summer season. 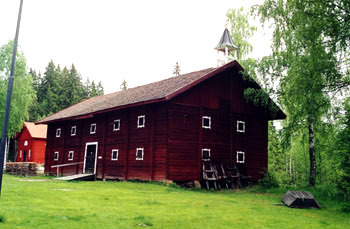 Riastugan is located on the museum grounds, next to the public bathing area of Lake Fryken. The cabin accommodates four persons and is furnished in cosy rustic style with bunk beds and a kitchenette. Shower and WC are available in a separate building. Rental is possible from 1 May until 30 September, per night (SEK 650) or per week (SEK 3500). 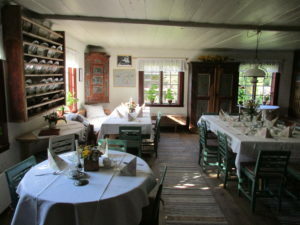 The main farmhouse, also museum café, is available for rent from September until May. Rental is not possible in June, July or August. The rental fee per day for the whole farmhouse (two rooms and kitchen) is SEK 900 between October and April and SEK 700 in May and September. The fee per day for one room and kitchen is SEK 800 between October and April and SEK 500 in May and September. The storehouse Torsbymagasinet accommodates up to 90 personer and is available for rent from May until the half of September. There is no heating available in Torsbymagasinet. 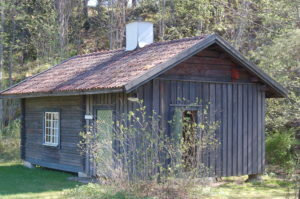 The rental fee is SEK 700 per day or evening. Please feel free to contact us for more information. You can also book additional activities with us, such as guided tours and catering.